READY TO MAKE YOUR NEXT TRADE SHOW WORTH IT? meet buyers, land orders, and GET a return on your investment. Contemplating whether or not you should even invest in a trade show? Fed up watching other booths get more business than you? We were scared to do our first trade show. To be there, we invested $12,000 between show fees, exhibiting materials, shipping, and more. It was 3 long days of waiting around, speaking to a few people, and hoping for a miracle. We were frustrated seeing NEIGHBORING booths get flooded with traffic. We KNEW they were walking away with a decent amount of orders, but for us, it just wasn't happening like that. We ended up walking away with $7,000 in orders, leaving us -$5,000 in the hole. We promised ourselves that the next time around, we would step up our game and walk away from the show NET POSITIVE. Instead of winging it, we carefully planned every aspect. We brought the right selling tools with us and we utilized different selling techniques. THE FOLLOWING YEAR, we walked away with $30,000 in orders. WE STOPPED SPENDING MONEY ON GIMMICKY TACTICS (LIKE GETTING FEATURED IN THE “NEW PRODUCTS” SHOWCASE) AND INSTEAD FOCUSED ON REAL FACE-TO-FACE SELLING Techniques THAT GOT US ORDERS. WE TRACKED ALL OF OUR EXPENSES TO MAKE SURE WE WERE ONLY INVESTING IN WHAT WE NEEDED. WE PASSED ON EVERYTHING ELSE. WE STOPPED “WINGING” IT AND CAREFULLY PLANNED OUT EVERY DETAIL BEFORE GETTING TO THE SHOW. WE IMPLEMENTED A SYSTEM THAT HELPED US SEND HYPER-RELEVANT FOLLOW-UPS emails WHICH RAKED IN sales EVEN AFTER THE SHOW WAS OVER. You don’t have to be experienced to walk away from a trade show a winner. And having unsuccessful shows in the past doesn’t mean you can’t change your strategy and achieve the results you want. You have to spend the time to carefully plan, steer clear of the icky sales gimmicks, and focus on implementing strategies THAT WILL ACTUALLY GET YOU RESULTS. HOW TO MAKE YOUR NEXT TRADESHOW WORTH IT has all the tips, tricks, & tools you need for your next show. We boil down the most important information & put it all in one place. HOW TO SAVE MONEY ON YOUR REGISTRATION COST, SHOW FEES, SHIPPING + MORE. THE SALES STRATEGIES THAT LANDED US ORDERS + GENERATED LEADS. A CLEAR ROAD MAP OF WHEN TO BEGIN PLANNING, WHAT TO PREPARE + MORE. The ultimate goal is to get orders while you’re at the trade show. We’ll teach you proven strategies that will rake in orders even after the show is over. We’ll tell you which "extras" are worth it and which ones are not. We'll also share the tricks we use to save ourselves thousands of dollars on each show. Get your pre-show planning down to a science to ensure your next trade show experience is a smooth one. We'll show you how we execute flawlessly. How we evaluate the potential ROI of each trade show we attend. Tricks & tips we use to save at least $1,000 on each trade show. How to make sure the “big buyers” you’re interested in actually stop by your booth. The selling techniques we use to build trust + engage with buyers we've never met before. Which trade show “extras” are a scam that you should not waste your money on. What types of “show specials” work (and what types don’t work). The follow-up technique we use to get orders from buyers who didn’t buy at the show. Examples of real email script we send to boutiques, specialty stores, and mass merchants. Some trade shows are conducive to order writing, while others are more for browsing and previewing. The key is to nail your follow-up emails with any leads you’ve obtained at the show. This note taking system ensures you’re recording specific types of information that will ultimately help you rake in orders after the show. Imagine talking with a buyer and another important buyer walks into your booth. Now you’re scRambling to wrap up your current conversation and move on to the next customer. 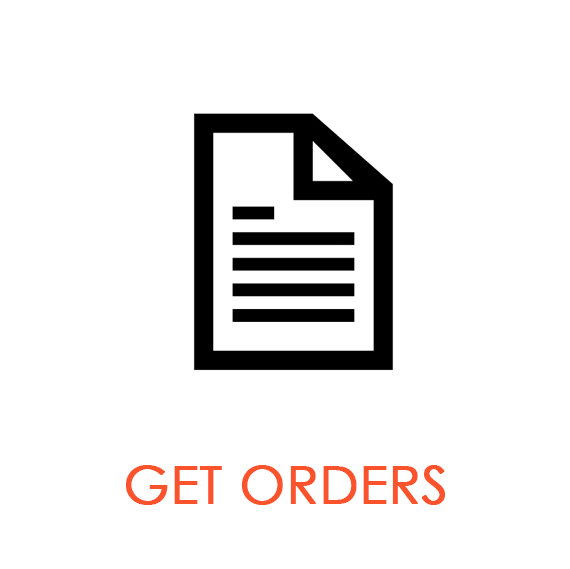 This order taking template ensures you move quickly so that you can maximize the number of interactions you have at the show. You can easily customize this template with your own products & logos. Can’t tell you how many times we’ve showed up to a trade show only to realize we’re missing key supplies. This packing list covers everything you will need to bring with you so you can avoid last minute runs to the store. Flawless execution requires careful pre-planning. Utilize our timeline to make sure you know what to do, and when. Hitting necessary deadlines will allow you to take advantage of money saving opportunities! And who doesn’t like to save money. We'll answer all these questions (and more) inside. Each module is an easy-to-watch video. you can replay, take notes, and go at your own pace. Some trade shows are worth it, some aren’t. How to decide which ones to go to. Four important reasons you should exhibit at trade shows. What types of ROI (return on investment) to expect. Why you need to sign up early. How to create a budget & track your expenses. What packing process you should implement to ensure a smooth setup. What’s worth bringing on your own so you don’t get up-charged at the show. Merchandising tips: how big buyers want to see your products displayed. How many people you should bring with you and why. What marketing “extras” are worth paying for, and what are a total waste of money. How to make sure the important buyers stop by your booth. What to say when a buyer walks in your booth. What specific questions to ask buyers you speak to. How to make sure you’re highlighting the right product to each buyer. Who you should expect to speak to, other than buyers. How to use a buyer saying “no” to your advantage. What note taking system you must use to maximize the number of people you speak to. What type of show specials you should offer. Buyers expect you to be able to discuss in-store marketing collateral—what to offer and what to say. WHAT key information you should gather from each prospective lead. WHEN to follow-up with buyers after the show. HOW to follow-up via email--strategies we use that get responses. Example of a real follow-up email so you know what to say. Other miscellaneous tips: what makes good “buyer bait”, types of attire, who else you should look for other than buyers, etc. Can I take this course if I've never exhibited at a trade show before? Yes. We cover everything you'll need to know, even if it's your first time. What if I've already exhibited at a trade show? If you weren't happy with the results at your last trade show, then this course is for you. The strategies in this course took us from $7K in sales at our first show to $30K at the same show the year after. We'll teach you these same strategies you can use to improve your ROI at the next show you attend. How far in advance do I need to take this course? You can take it as early as a few months out or as late as the morning of your next trade show! The entire course shouldn't take you more than 1.5 hours and the selling strategies can be implemented the day of. Most people take this course a few weeks to 3 months before their next show -- basically when they're in the process of preparing. Either way, you'll have access to this course for life so you can always come back and visit modules later! We host live Q&A sessions in our Facebook Private Community for you to ask questions and get specific answers. Make sure to find us and join! The course starts and finishes on your schedule! It is a completely self-paced online course - you decide when you start and when you finish. What industry does this apply to? The strategies and tools we teach in this course apply to all trade show categories including (but not limited to) apparel, accessories, jewelry, hand bags, home products, electronics, children's products, toys, personal care products, and more. Due to the instant-access nature of this course + the digital templates, there are no refunds and all purchases are final. Ready to get the most out of your next trade show?